4x4, Leather, Running Boards, XM Radio, Bedliner!!! 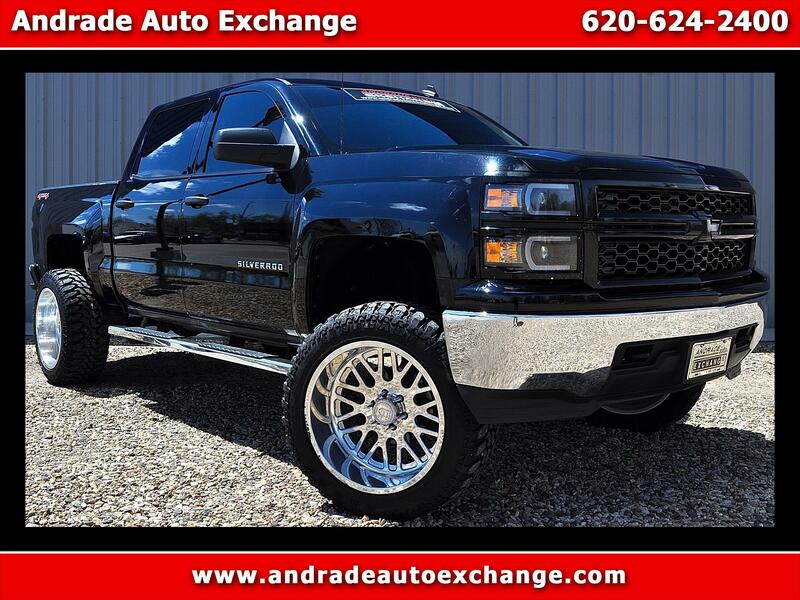 Our incredible 2014 Chevrolet Silverado 1500 Crew Cab LT 4X4 shown off in a lustrous Black. Powered by a Direct Injected 5.3 Liter EcoTec3 V8 that offers 355hp while connected to a reliable 6 Speed Automatic transmission. Muddy rural roads, mountain terrain, towing your boat, or hauling lumber are no challenge for our Four Wheel Drive Silverado that offers near 23mpg. The beefy front suspension eases you down the road in comfort while the rear set up is sturdy enough to keep up with your demanding life. Notice the running boards, bed liner, tow haul and fog lamps. This Silverado Crew Cab in LT trim is more than just a brawny daily driver. Upscale cloth interior, keyless entry, carpeted floor, and mats, plus steering wheel controls make you feel like the king of the road. MyLink audio with two USB ports and a massive display offers upscale tunes along easy to read gauges. Well-known GM safety features are in place like StabiliTrak, rear view camera, 4-wheel ABS, daytime running lamps, and plenty of airbags. This no-nonsense truck will make sure it fulfills your needs for work and play. Get the job done right with the security, performance, and comfort that only come from the Chevrolet Silverado. Don't delay! Print this page and call us Now... We Know You Will Enjoy Your Test Drive Towards Ownership!